When mentioning a prenuptial agreement, many individuals think only about the financial side of this contract. However, this type of agreement affects not only your money. The reality is that prenuptial arrangements (which are called “premarital arrangements” in some jurisdictions) could likewise deal with other important matters, such as distributing the tasks between two spouses during the marriage, taking care of children from a previous relationship and keeping family heirlooms in the family. Sometimes these point can be much more important than just defining assets division or spousal support after a divorce. Knowing the possibilities of a prenuptial agreement is an essential factor in your choice of whether or not to get one. Right here are 4 main aspects why may need a prenuptial agreement. Obviously, a prenuptial agreement certainly brings a feeling of financial protection– specifically in cases where one spouse has much higher earnings compared to the other. On the one hand, the wealthy partner wants to protect his/her property as well as limit the amount and also period of spousal support in case of separation. On the other hand, the partner that does not have so many assets wants a guarantee of economic safety or financial support if their marriage finishes. The end outcome ought to be a sensible arrangement that provides security to both parties according to their specific requirements. One spouse bringing a lot of debt into the marital relationship is a rather common situation nowadays. Sometimes, the other spouse doesn’t even know about the financial debt of the other until they have actually got married. Don’t be afraid to raise this topic before the marriage – everyone has the right to feel confident about their future, especially when it hugely depends on another person. Of course, if the marriage ends, the other partner does not want to inherit their ex-spouse’s debt. A prenuptial agreement could limit the non-debtor spouse’s responsibility and also prevent creditors from seeking marital property to pay off the debt. 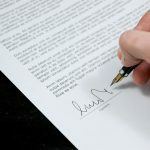 A prenuptial agreement can be used to get around the laws regulating asset division and spousal support in some states (ask Chattanooga family attorneys if this is the case in Tennessee). The contract could define exactly how specific marital and non-marital possessions will be allocated when it comes to divorce. An excellent prenup can likewise sustain your estate plan. From professional experience of McKoon, Williams, Atchley & Stanley, PLLC family lawyers, asset distribution is much less challenging with a legitimate prenuptial agreement, so protect yourself and your assets from messed-up situations later on by signing one before marriage. It’s a natural desire for business owners and entrepreneurs to protect their business they’ve contributed so much into. Divorce can threaten it – both financially and because of interference from ex-spouse (and ex-spouse’s lawyer). Without a prenup, the marital share of the business can be rather significant, and the non-owner spouse could end up with a considerable portion or even claim to it. This implies that business owner would be forced to buy out their ex-spouse’s share (which could have an extreme impact on the business’ capital) or put up with a potentially vindictive ex interfering in their business’ decision-making process. 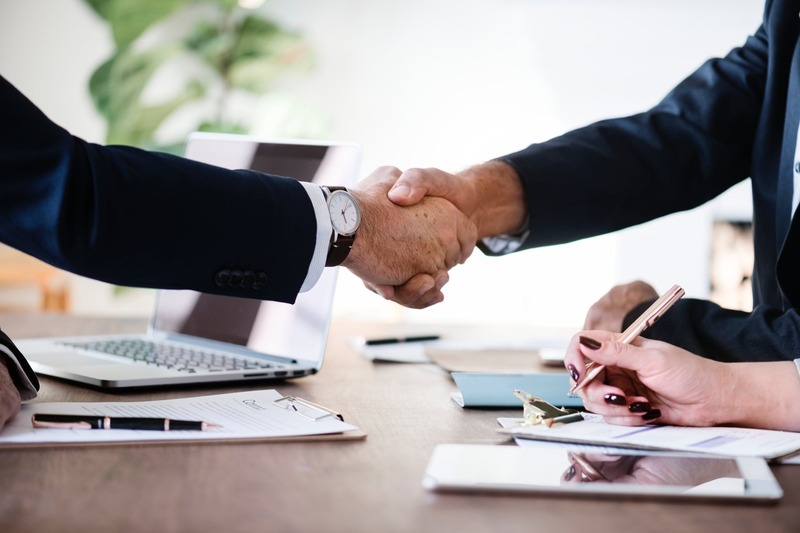 Developing and signing the detailed prenuptial agreement is vital for business owners; otherwise your business (especially if it’s a small or middle one) can occur under the threat of closing because of conflict or misunderstanding between you and your ex. These are simply four of the several factors for creating a prenuptial agreement (or a post-nuptial agreement if you’re currently married). When the agreement is finished, you can feel confident that you have actually done your best to protect not only yourself, but also your spouse in case of future divorce. At McKoon, Williams, Atchley & Stanley, PLLC, you will find a Chattanooga family law attorney who will guide you through all of your legal options and answer any questions you may have about how various decisions could impact your future and the future of your family. Don’t hesitate to contact us to find the solution to your issue. Separations are never ever easy or pleasant. 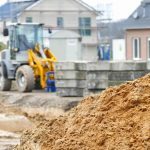 There are so many variables that both parties need to take into consideration, such as sharing or splitting of properties, who obtains what, what will happen with the children, the vehicles, alimony, your house, visitation rights … this list is endless. Sometimes divorcing couples find out they may agree on some points, but not on others, and neither feels they ought to find a compromise or make concessions. Time for an attorney? Absolutely. Even during a simple consultation you can find answers to important questions, so it’s definitely worth your time. and also it is well worth the moment. 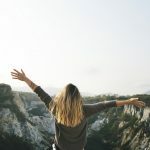 Compared to what one could lose (financially and or else) from making a mistake — because of not knowing the divorce legislation or a psychological breakdown in a time of tension, the price of excellent lawful advice pays for itself many times over. This is particularly true for cases which include large amount of money, assets, residential property and business – like high net worth divorce with much higher potential for mistakes on both sides. It could be really emotional and stressful, which’s not the best mindset to make choices that lead to best long-term benefits. Consequently, it’s easy for either party to say or do things they may regret later, or to sign documents prepared by another party that are not in your best interests. 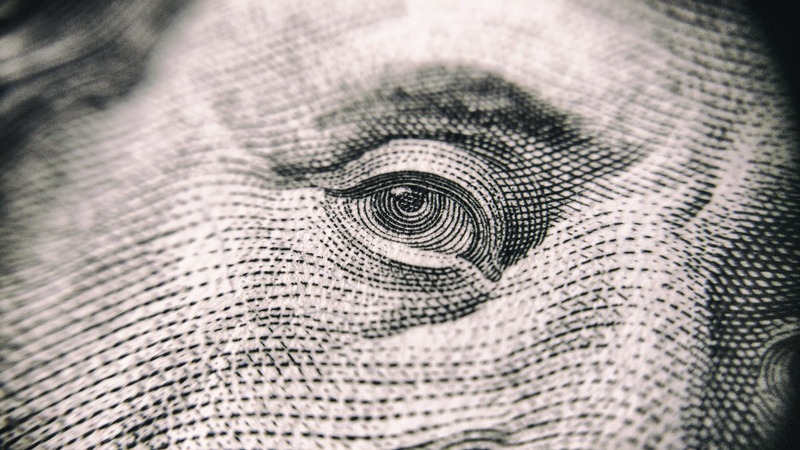 After tens years of professional experience and tons of solved divorce cases, McKoon, Williams, Atchley & Stanley attorneys are sharing tips for successful high net worth divorce and what you should never do to make the procedure run smoothly. People may strive to get divorced as soon as possible for a number of reasons. The most common of them is, for example, a situation, when one person in a divorcing couple feels emotionally exhausted and like he/she just cannot stand the ex spouse anymore. The other reason is falling in love with another person and striving to get “free” as soon as possible. Whatever is the reason of your divorce, accepting terms such as alimony, or division of assets and liabilities in a hurry just to move away quickly could have destructive effects on you financially. Therefore, it is important that a complete analysis be taken prior to settling your divorce. When you get divorced you will have to fill out a financial affidavit and also provide specific records regarding your financial situation required by the law. It is essential to take this inventory seriously and make sure all details are relevant and accurate. It is time consuming and also tedious to put these things with each other, however failure to do so properly could leave you holding onto liabilities that should not be yours or your giving up assets or alimony you should not be obligated to give up. Some spouses think they are clever and also move their valuable assets to a 3rd party such as a company partner or youngster from a former marriage. Transfers like these can (and also more than likely will) be reserved as deceptive and you will lose the most vital thing you have in a court– your reputation. From that point forward you are in a losing position for everything else related to a proper or reasonable divorce settlement. It’s just not very smart and ineffective. When you divorce and you receive certain assets you could be taxed on distributions or you could agree on an alimony amount based on your budget without considering how much you will actually clear after taxes. Tax considerations are a critical component of a high net worth divorce. It is critically important that when you are going through what is probably the most emotionally devastating experience in your life, that you have a lawyer that is going to help you think clearly, strategically and guide you through the legal minefields so that once the dust has cleared, you will have a bright and financially secure future.Our divorce lawyers in Chattanooga, Tennessee provide exceptional service for those seeking soldiers relief or divorce mediation as an alternative to a standard divorce. Our divorce attorneys are more than happy to provide you with information on legal separation, amicable divorce, and common law marriage. There are many different important legal issues that you and your ex-spouse to be must find answers for. Even though it may seem impossible to come to an agreement on important aspects of the divorce, it is essential and our divorce lawyers are here to help you – just contact us today. Many individuals delay estate planning due to the fact that they believe it is too expensive or complex for them as well as not very important for their family. Nonetheless, estate planning does not certainly need to be tough, and the typical person can and should have an estate plan that is conveniently understandable and doesn’t cost a lot. 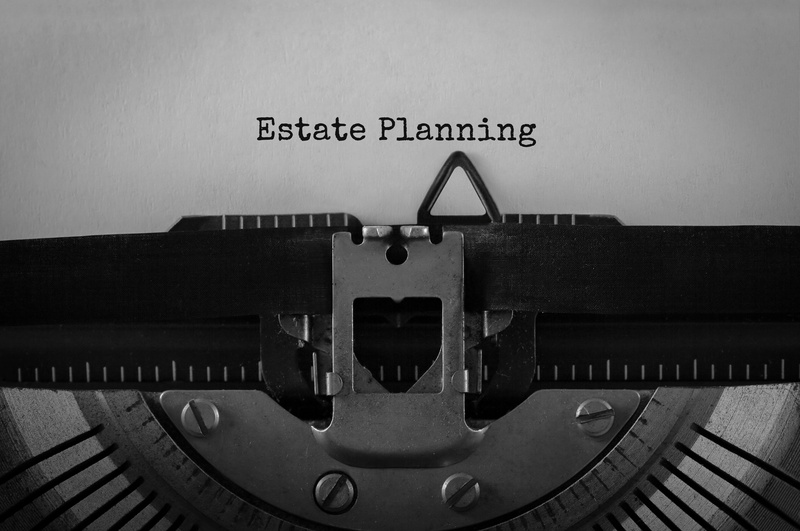 In this post, McKoon, Williams, Atchley & Stanley explain main misconceptions about estate planning for Chattanooga citizens. Misconception #1: Estate planning is only concerning money. Although finances could be the main reason for creating a will or trust, estate planning influences family members far beyond the handling of funds. Such plans simplify the life for your relatives during a time of loss and despair. A well-balanced strategy permits you to share your wishes as well as values after your passing away, assists your beneficiaries stay clear of a lengthy as well as costly probate procedure, and reassures relatives that they are doing just what the person would certainly have desired. In the first place, estate planning is about family, legacy, and also love. Misconception #2: Estate planning is expensive as well as lengthy. As a matter of fact, it’s just the opposite. Regardless of the initial cost of involving a lawyer to draft records, great estate planning saves both time and money in the long term. Without an estate strategy, your heirs will be entrusted to sustain probate, which is prolonged and also entails lawyer costs throughout the procedure. Myth #3: Estate planning is only for wealthy people. Misconception #4: Estate planning is not urgent. 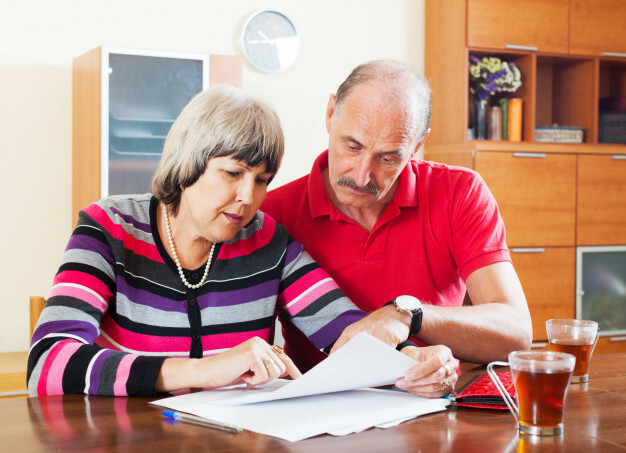 An estate plan is necessary for individuals of every age. A comprehensive estate strategy consists of files to attend to medical care needs in instance you end up being incapacitated, it permits financial responsibilities to be resolved if you are not able to do so in situation of disability– short- or long-term. Most important, these records reveal your wishes regarding who must take care of your youngsters if you are unable to. It might not really feel urgent, however an estate plan is a very useful present to your family. Misconception #5: If I pass away without a will, the state will obtain my possessions. There are several reasons to prepare a will, but worry over the state’s taking your household’s inheritance must not be among them. If somebody passes away without a legitimate will, then state law works– and also every state has its own inheritance guidelines. Typically, the spouse and kids of the deceased was initially to inherit. In some states, a surviving spouse and small children share the dead parent’s properties, which could cause a little one’s inheriting a significant portion of his/her moms and dad’s properties. That alone is a great reason to create a Will: you probably don’t want your eight-year-old to acquire one fourth of your checking account. So, do properties ever before go to the state? Yes, but only when no relatives can be found, which is extremely rare. As long as a family member can be situated, regardless of exactly how distant, the state could not inherit your assets. Misconception #6: I require just a standard will. A standard will, such as one that you could complete using the internet resources, is definitely much better compared to no estate strategy. As well as if you never get around to creating even a basic will, the state has a default strategy currently in place for you. Unfortunately, the state’s strategy may be completely opposite to what you want or dream. Plus, all your probate assets will refer public record, and complying with the state’s default plan will likely be slow as well as expensive. Misconception #7: Married couples don’t require an estate planning. As you see, an estate plan is not just a “plan B” – it is a necessity, especially if you have minor children. If you live in Tennessee and own real property (such as a house) or have other property, it is important that you work with an attorney who is knowledgeable about Tenneesee probate law and will advise you on which estate planning documents will work best for you. McKoon, Williams, Atchley & Stanley, PLLC is a firm that specializes in estate planning, probate, tax controversies, and business transactions. We provide comprehensive estate planning, tax planning, business succession planning, charitable planning and wealth transfer services to you and your families. When A Person Might Need Guardianship? At times it is important to protect an individual’s personal and financial well being if they are not able to protect themselves. This issue particularly arises in families worrying about their incapacitated members and sometimes guardianship might be what you need. This is a legal proceeding in which someone is legally appointed to supervise and provide physical care for a person who is incapable of acting for himself or herself because of age, incapacity or disability. It is essential to understand when guardianship is needed for the person, since not just is guardianship an expensive process, it likewise can be really disruptive to the lives of the whole family. 1. Refuse to comply with the family’s care plan. For care providers and family members it is essential to work with incapacitated individuals to help them make decisions regarding their treatment and funds. While a family members could have the best objectives concerning, the person might still oppose. 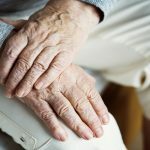 If the incapacitated person is in danger of harming himself or his funds and also will not accept help from caregivers or member of the family, after that a guardianship might be necessary. 2. Lack of sufficient estate planning documents. Under Tennessee regulation, guardianship Courts should look for the least limiting ways necessary to protect incapacitated individuals. 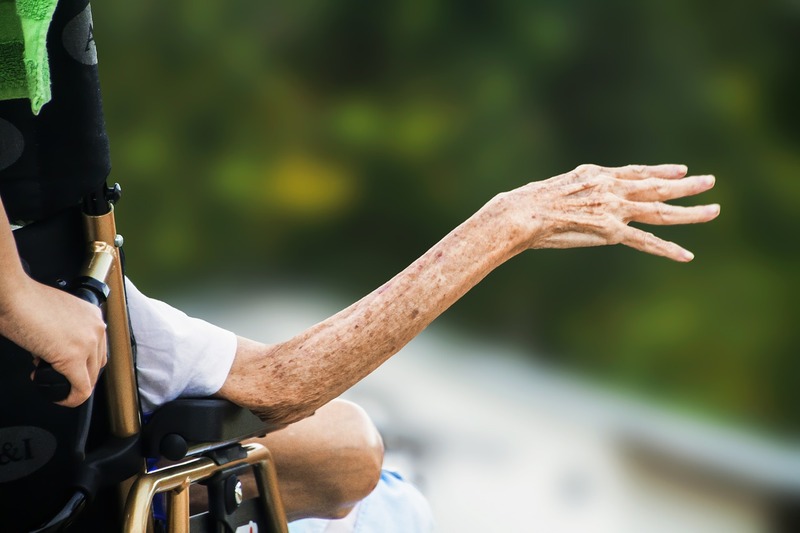 Consequently, there is no extreme need in guardianship if the incapacitated individual effectively carried out a Durable Power of Attorney, and designation of advance healthcare directive. A Durable Power of Lawyer could provide an agent authority to manage the incapacitated individual’s financial matters. An advance healthcare directive (living will) states your decisions about prolonging life — the use of medical devices such as feeding tubes, measures to restore your heart or breathing, and the use of drugs for pain should you become terminally ill. You can be as specific as you like in defining your wishes for loved ones, which instills confidence that they understand your wishes and relieves their stress about having to make decisions. Either of the mentioned above estate preparing documents might suffice to settle issues the family members face. The attorneys at McKoon, Williams, Atchley & Stanley, PLLC who are experts in elder law or estate planning could help determine whether the estate planning documents are sufficient to avoid guardianship proceedings. 3. A person is vulnerable to exploitation. A guardianship could be required when estate preparation documents and relatives could not safeguard incapacitated individuals from monetary exploitation, abuse or self-neglect. For example, a guardianship is needed if the representative authorized to act under the incapacitated person’s Durable Power of Attorney Long is using his power to economically exploit the incapacitated person. An additional typical instance of abuse happens when someone employed to render care or aid to a disabled individual starts to literally abuse or economically make use of the incapacitated person. Frequently, incapacitated individuals in this circumstance choose not to see themselves as targets, as well as rather believe the caregiver is a friend or the only person they can rely on. In these situations, guardianship procedures are essential to shield incapacitated people. A guardianship could be significant if the family cannot decide upon the care their member should get. Depending on the circumstances, Guardianship Courts could select a guardian of the person, property or both. Such person then would be obliged to make sure the incapacitated individual is correctly taken care of and also protected from exploitation as well as self-neglect. A guardian of the residential or commercial property is in charge of the incapacitated individual’s finances. The guardian should deal with the incapacitated person and his family to serve the person’s benefits. Elder care is a growing concern in Chattanooga and the United States today. And caregiving for incapacitated persons can be challenging, but you do not have to face it alone. If your family is struggling to determine how to best care for an incapacitated family member, McKoon, Williams, Atchley & Stanley, PLLC is here to help you. Contact our attorneys today to make the best decision for your family. Writing will is a common practice since you must have a legal document to ensure that your will would be followed after you are gone. However, not many have heard of a living trust and only around 20% of Americans have them. So should you join that 20 percent? A living trust is a written legal document through which your assets are placed right into a trust for your benefit during your lifetime and afterwards transferred to marked beneficiaries at your death by the representative you choose, called a “successor trustee.” A living trust contains the main assets in your estate, such as your house, vehicles, investments, and savings. One of the first advantages of a living trust is that it prevents probate which usually suggests a faster distribution of assets to your heirs– just during several weeks compared to months or years with a will. Your your debts will be paid off and your assets will be distributed by your successor trustee your assets only in accordance with your directions. What is important, this document allows you to select a guardian for your children in case of death. As stated abode, the transfer of assets will not go through probate and thus save money in the long run if someone decides to contest it. Though drafting a living trust will likely cost you more as it is a more complex legal document, it will ease the life of your family members. Here’s how. Having a living trust could be incredibly helpful if you sooner or later end up being unable to take care of your assets as a result of physical or mental disorder. This is due to the fact that if you’ve made a trust with your partner, she or he has authority over all the trust property. This attribute of a living trust can be a blessing to family members who are troubled, or rather perhaps overwhelmed, by taking care of a person who has actually been struck by a severe illness or accident. Without the authority conferred in a living trust file, relatives have to generally go to court to obtain lawful authority over the incapacitated individual’s funds– an uncomfortable, public procedure. Generally, the children or the spouse of the person should ask the court to be appointed as that person’s conservator or guardian. This document also makes possible to avoid any fraud as your incapacity would need to be proven and licensed in writing by several doctors. 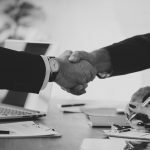 Once that determination has actually been properly made, the follower trustee has legal authority to take care of all property in the trust, and also to utilize it for your health care, assistance and general well-being. The regulation requires him or her to act truthfully and prudently. One big difference between a will and a living trust is the degree of privacy. As this document is not revealed, after your death, your estate will certainly be distributed in private. A will, on the contrary, is a public document and all transactions will be public as well. An additional difference is the handling of out-of-state residential or commercial property you own after your death. With a will, that home will have to go through probate in its own state; a living trust could assist you prevent probate. With the huge experience of McKoon, Williams, Atchley & Stanley Chattanooga attorneys developing a living trust is simple. The process starts by completing an easy set of questions. We will guide you through every aspect to avoid any potential issues and take care of your and your closest people future. In addition, if you have any doubts or concerns about doctors knowing your wishes about the use of various life-sustaining treatments, you may may prepare and sign some other documents, commonly called an advance healthcare directive (living will) and durable power of attorney. Do not hesitate to contact us!